I’ON has a Architectural Review Board that requires privacy fence gates to project a feeling of welcome and inviting. 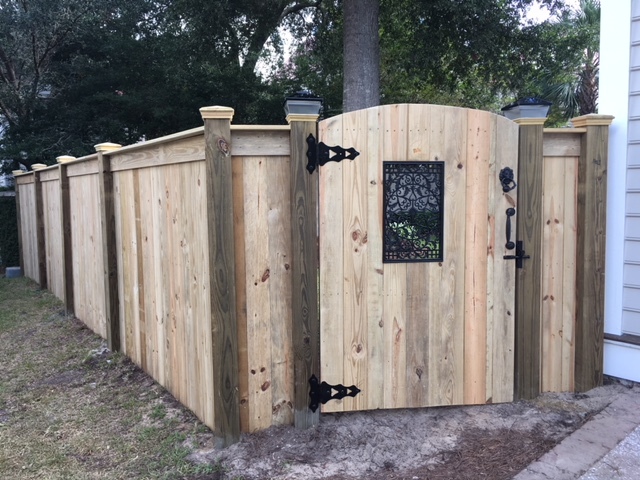 In concert with a the homeowner; we designed this gate with a custom ‘window’, door knocker and handle – all provided by one of our favorite vendors; Iron Works. 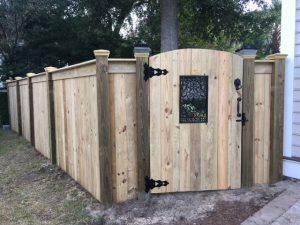 Stunning fence and gate…homeowner very happy, AAA Fence proud and I’ON ecstatic…win. Win. Win.